No matter where you’re headed in life, if you follow the musical “Detours” of Darien Dean, I promise you’ll end up exactly where you need to be. This latest release happens to be the second installment of his “Notes From The Journey” trilogy, and is what he considers his most ambitious project to date. Give the album one listen, and you’ll understand why. 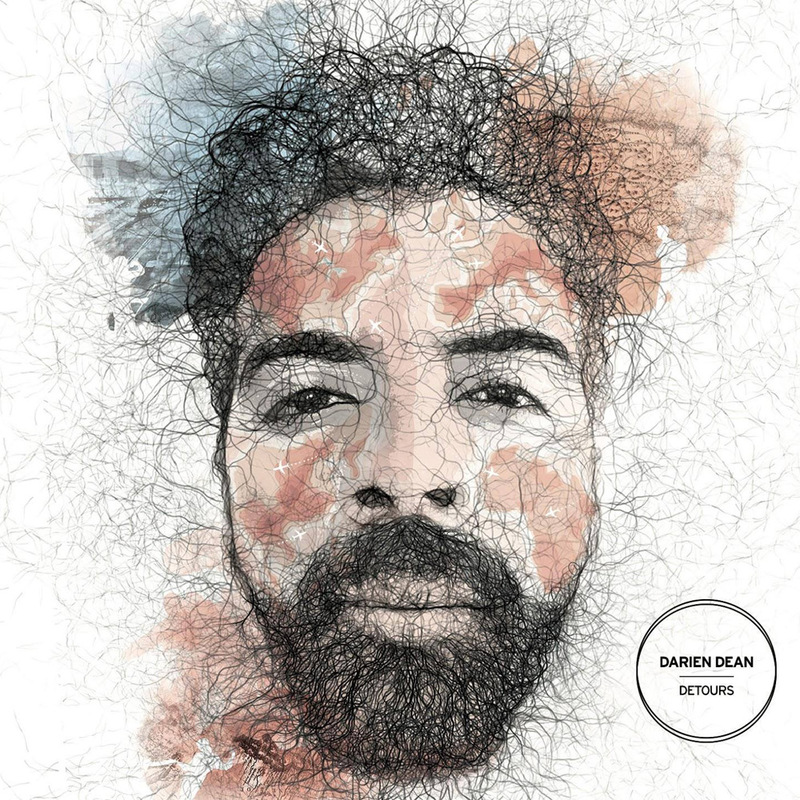 The impressive soundscape is what Dean has called a “literal gumbo of sounds” that have influenced him over the years, and covers just about every genre of feel-good music. It’s hard to imagine how “Detours” could emerge as a collection of music that supersedes his critically acclaimed sophomore album, 2017’s “Departures”. But, given that Dean has dared to push past the familiar by entering “into the fringe where the magic happens”, the international indie artist finds himself at the helm of quite a remarkable listening experience. And, it’s always exciting when an established artist chooses to break the mold by exploring the possibilities of their art form, in Darien’s case being a silky soul crooner. Suitably, the album is called “Detours” and that’s exactly what you get from the selection of top choices produced by Shawn Hibbler, Herb Middletown, Phil Lewis, and Isma Hill. Just about every song is different from the next, creating this rich and dynamic soundscape of well-crafted tunes. The first two singles, “Last Song” featuring Tiffany T’zelle and “Straight Up! (Roots Session)”, featuring British soul legend Omar couldn’t be more different on the musical spectrum. With “Last Song” you get a smooth two-step groove announced by Quiet Storm radio host, Mr. Radio himself, Lenny Green, that will have you snapping two fingers while looking for a hand dancing partner. Down the line, “Straight Up! (Roots Session)” takes you from Chicago to Lagos by way of Kingston, being all things African Diaspora with its worldly Afrobeat flair and the precision of Fela’s Afrika ‘70. “Scorned” then moves you across the globe to another continent toward Sevilla, Spain in a short but mesmerizing interlude that features the vocals of Shae Fiol and leads into the fascinating storytelling and songwriting of “Black Widow”. Keeping with the “Detours” theme, the album seemingly time-travels with ease and delight on songs like “Autopilot” featuring O-Dawg that carries both an early-90s synthesizing Europop vibe, and a mid-90s New Jack Swing remix. Another nod to the era of Sweetback and Brand New Heavies, “Pressure” is a melodious piece of ear candy that allows the live studio band backing Darien’s vocals to truly shine. Their mastery as a cohesive musical unit is explored on the jazzy ballad “You’re The One (Acoustic Treatment)” that centers around a reflective piano melody. But things pick back up with the swingin’ New Orleans big band stylings of “Best Is Yet”, which really illustrates why Dean calls “Detours” his most ambitious work of his career. He is all over the place with this album, but not in a forced or inauthentic way. This is showmanship without even seeing Darien on stage, because he is creating the setting with the flow of each song. In fact, it’s understandable that an artist of his caliber is eager to bring it all together in this masterful way. And if this crowning achievement is only the second installment of the trilogy, then I can’t wait to hear the last collection of songs on his musical “Destination”… which is my vote for title of the final album!